This is only part of the process if there is no existing website. During this phase you will be asked some basic questions like colors, logos etc and preferences for design. Once the site design is done you will also be asked for content. This is usually for pages like about, contact us, the team etc. Even this content can be outsourced. Once the website is done, or you already have one this is the stage where the shopping cart ecommerce software is setup. There will be some information required from you such as email addresses, text templates and shipping values etc. Once the basic cart has been setup, all products and all their variations will need to be entered. Ideally all this information should be prepared beforehand. This way you will know how many items you have and will also know what images you will need. 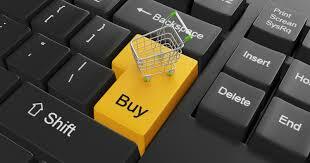 The final step is to sign up for a payment gateway and add it to the shopping cart software.